Writing longhand may boost learning and goal achievement, but that doesn't mean squat if you don't have pen and paper on you. For me, I'm usually on the go when I have a note or idea to jot down, and I don't always have writing materials in my pocket. Who does? But what I do have—always—is my Nexus 7 tablet. Taking notes or writing ideas down on your Nexus 7 or other Android tablet might not help your brain remember, but that's just one of the benefits. You'll always have your digital notes with you, stored safely on your device or in the cloud, to reference whenever you want. This is why I've been using ASUS SuperNote Pro on my Nexus 7 lately. Aside from having note-taking access whenever I want, it costs nothing compared to the $20 to $40 spent on cool paper notebooks, pens, and ink each month. Plus, if you have a stylus, you still get the benefits of writing longhand! Let's get this on our Nexus 7s now! SuperNote Pro is a free app made by ASUS that originally shipped on the ASUS Transformer tablet computer. In fact, it only works on the Transformer line of tablets, with the one exception of our Nexus 7s. To download it on your Nexus 7, just visit the Google Play link. At first glance, SuperNote isn't your run-of-the-mill note app. It looks great and works even better. The "Getting Started" and "How-To" pages will provide an easy explanation to using the app, but it's pretty intuitive overall. 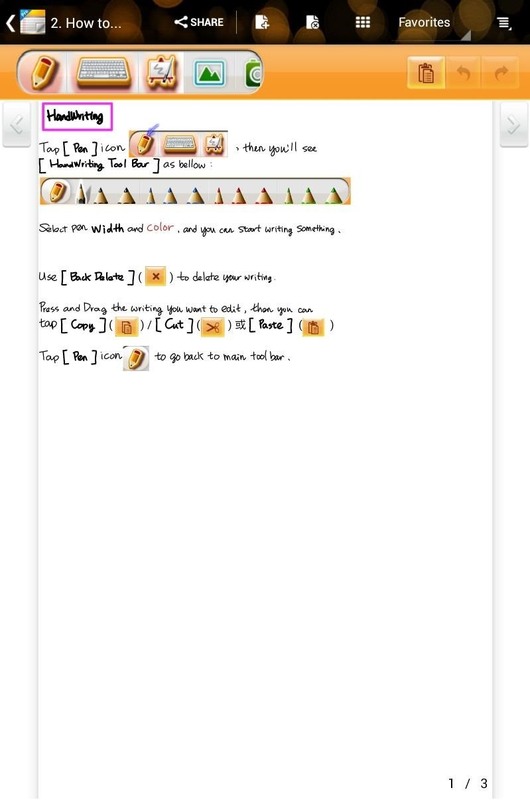 Unique to SuperNote, it allows you to paint using a stylus and record written words as if you were writing on lined paper. Typing using the on-screen keyboard is always an option too if preferred. I wrote "hello wonderhowto.com" in multiple ways as an example (above). 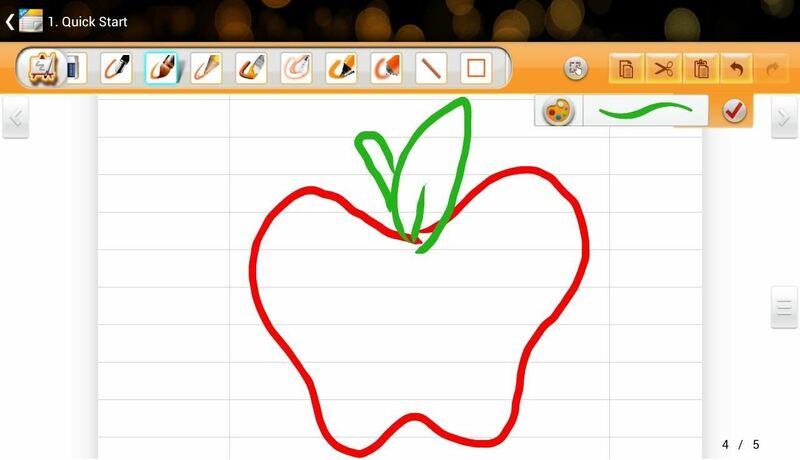 I also drew an apple to showcase the drawing capabilities of SuperNote (below). 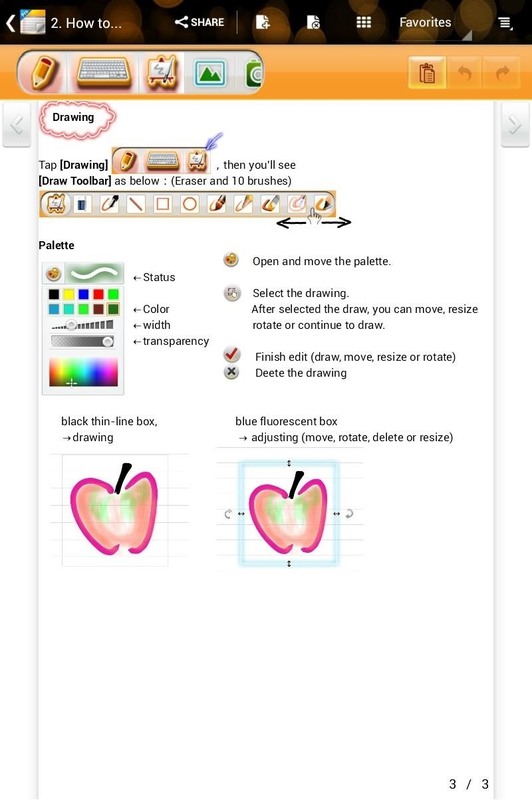 The toolbar has plenty of options to fit any drawing you may do. Different pen styles and thicknesses allow for many possibilities. Whether it's a straight line or a shape, you can draw it out easily. Taking notes also has many options to choose from. 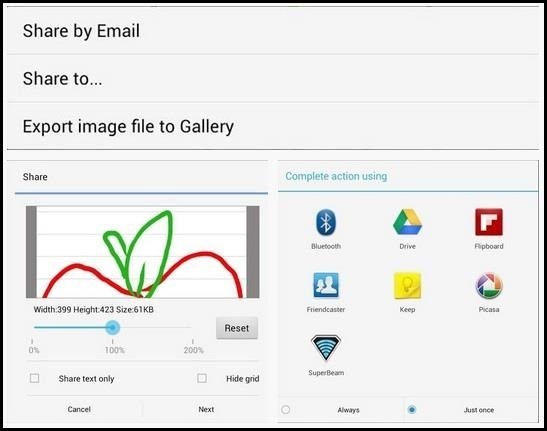 You can add a picture, take a picture, or switch to handwriting recognition; the list goes on. Sharing and exporting your notes is also quick and easy (above). You can email the notes/drawings, share it via an online service, or export it to your gallery. When I use SuperNote, I like the clean UI and feature set it provides. It's perfect for what I need and I find myself using it daily now. Being able to draw like on real paper makes quick and messy notes a breeze, while having the ability to type makes sentences clean and organized. The app hasn't crashed on me once and all my notes are safely stored away on my Nexus 7. Give SuperNote Pro a try and see if you like it! You're free to use another app to take notes if you feel this one is inadequate. Just a friendly reminder, you should click the pencil icon and make sure you're in text mode and not drawing mode, when writing. What does the handwriting recognition button look like? Just press the pencil icon and it will "recognize" you handwriting. Any idea if there are any stylus's available with a fine point like the one that comes with a Samsung Note? I find the standard capacitive models have very thick tips - which are no good for writing or drawing. Nice article. I have tried almost every notes program on Google Play Store and alternate sites. Like you I also think Asus' Super Note Pro does a good job with handwriting. It does other things as well. If however you are only interested in handwriting I would suggest the trial of two other programs: 1) Handrite note Notepad Pro by NC Corp, provides beautiful writing with no lags and exports to other cloud programs effectively. It has a great interface box where you write a word and it places it within the context of the larger paragraph you are composing and one can edit the handwriting just like a word processor. The handwriting algorithm makes everyone's cursive more attractive than it actually is. 2) Handy Note Pro has the innovation of two input boxes, so that each word written is input into your larger paragraph when you start writing your next word in the second input box, allowing you to write as fast as you think without any delays. It also has a TON of templates, but the writing interface is the reason why I like this program. 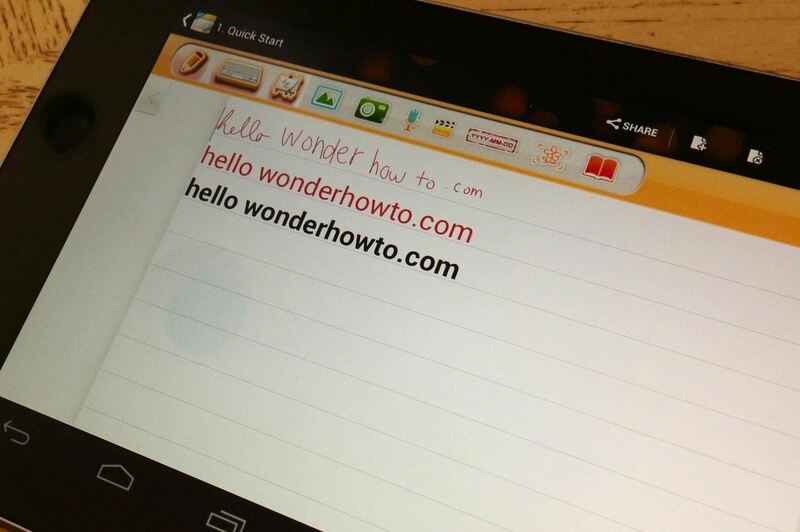 Also, Maria G asked about a handwriting to text conversion function, and I would recommend WritePad by PhatWare Corp. 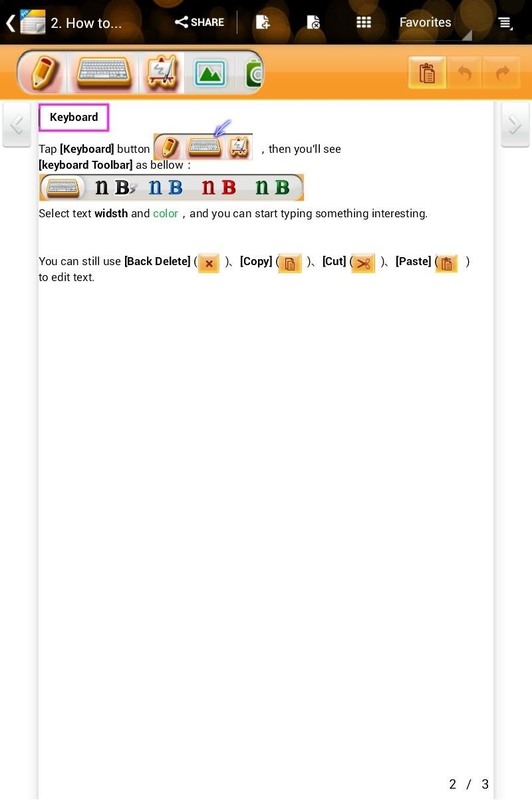 It can replace your standard keyboard interface so that you can use the handwriting interface which it turns into OCR text. It is quite accurate and improves as you use it. You can add specific words to your vocabulary such as Names or specialized words, i.e. such as medicolegal English like "medial," "subluxation," or " dicta." Additionally one can download another language pack (I downloaded Swedish) and you can speak in Swedish and it will type the correct words using the correct letters such as the double dots found in the word, (location): Väddö. Overall though, I thought the review was spot on in terms of Asus' Super Note Pro. It is in my top three programs that I use when handwriting.